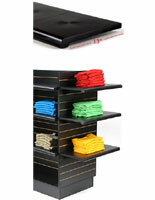 Create the perfect display solution for your retail store with this black wood wall shelf. With the mounted design, these ledges give the illusion of floating on the fixture they are attached to. 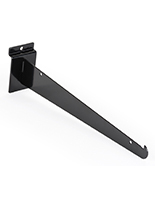 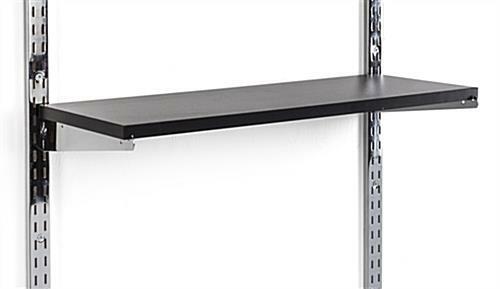 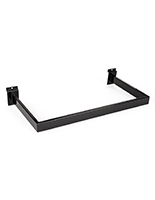 Rest the wood wall shelf upon compatible 10” bracket supports (sold separately) for a simple display solution. 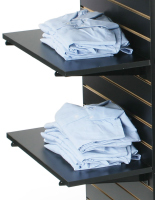 Each of these floating ledges can be mounted to a panel or store fixture, like a gondola rack, for effortless merchandising. 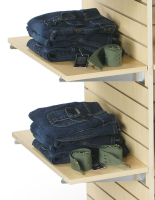 A spacious showcase area allows a collection of products to fit comfortably. 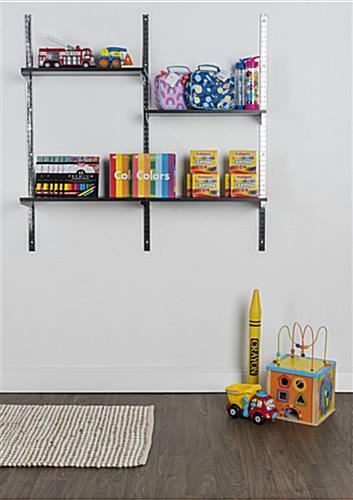 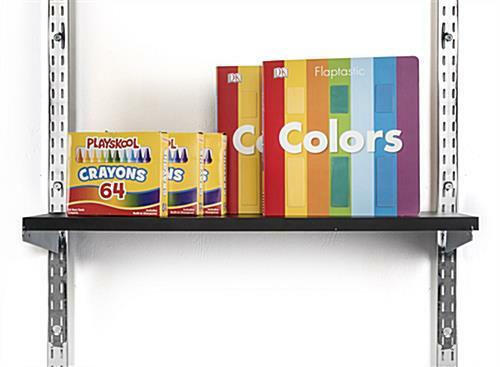 Rearrange your display as needed with this wall shelf.